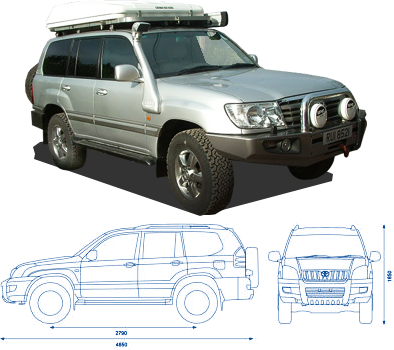 Overland Cruisers is the UK's leading independent Toyota Land Cruiser specialist. We provide a full range of services from basic servicing and diagnostic work through to a full preparation service for those planning extensive overland or expedition style trips. In addition to working on Land Cruisers we also supply genuine new and second hand Toyota parts at discounted prices for our own customers as well as for owners wishing to work on their trucks themselves. With winter finally upon us and the UK roads getting regularly spread with salt it's a good time to mention how rust affects our beloved Land Cruisers and to provide some tips for avoiding problems.